Smarty bubbles is a fun game to play. Shoot all bubbles until the field is empty to win. 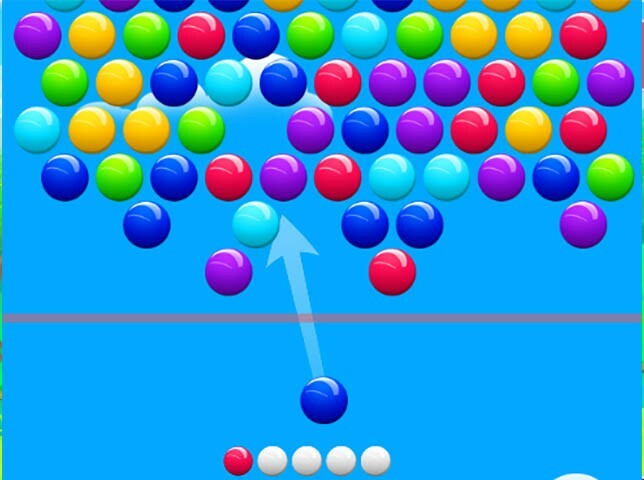 Smarty Bubbles has flat graphics and plays very simple. This game is ideal to play in between. Smarty Bubbles is the perfect casual game for all ages. Combine at least 3 bubbles of the same color to remove them and try to clear the field. Play one of the most popular bubble shooter games of all time and set a new high score! This screenshot shows you the smarty bubbles. They look like real smarties. Smarty bubbles registers your game statistics. 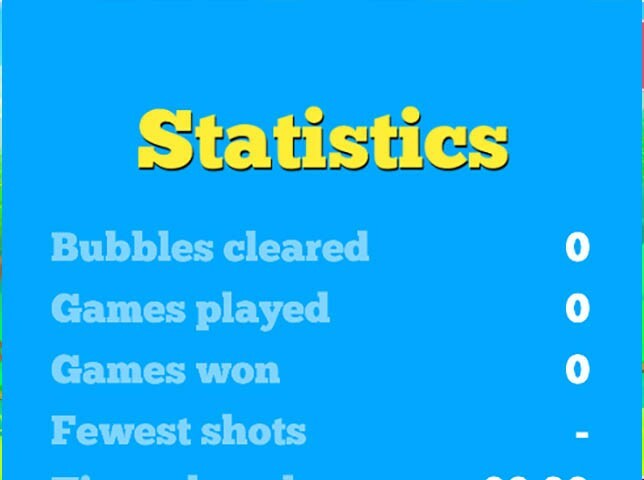 You can follow how many bubbles you have cleared, how many games you have played, how many games you have won and more.